In the next Wednesday (24), former president Luiz Inácio Lula da Silva's trial at the court of appeals (TRF-4) will take place, within the Operation Car Wash. In order to better understand what is at stake in this case, Brasil de Fato listened to the Brazilian Front of Jurists for Democracy and also the former president's defense attorneys, who pointed out at least 6 illegalities found in the lawsuit, making it fragile to reach a conviction. 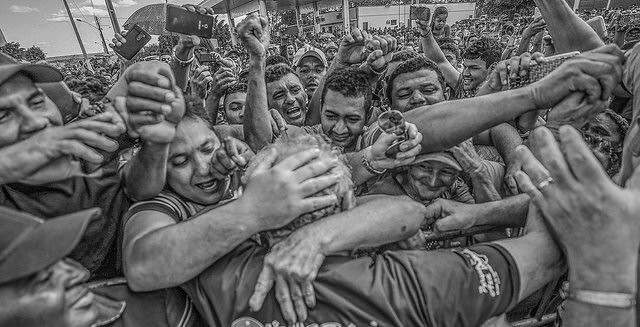 In March 2016, policemen tried to forcibly take Lula to Curitiba to testify. After the people's reaction, the former president spoke in a police station at the Congonhas airport (SP). This is illegal because the Penal Code says that forced conductions can only happen after previous subpoena that has not been respected. However, Lula had not been subpoenaed yet. In March 2016, Moro released tapped phone calls involving Lula, his family members and Dilma Rousseff. This is illegal because the conversation between Lula and Dilma was recorded after the deadline established by Moro and without authorization. Since Dilma was then president, the tapping could only have been made with authorization from the Federal Supreme Court (STF). Moro authorized that phone calls from Lula's attorneys' office were heard. This is illegal because the conversations between clients and lawyers are inviolables. The only similar case that happened in the world was in Spain, where the responsible judge was withdrawn from his position for more than 10 years. 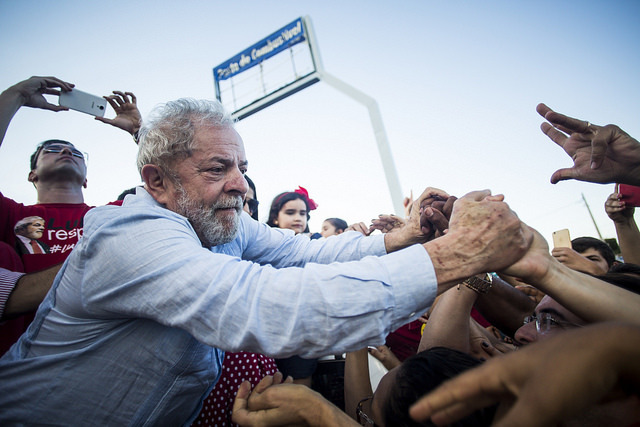 Lula was judged in Curitiba, where investigations about Petrobras are being tried. The charges against him, filed by federal prosecutors, allegedly involved a scheme of favoring in the oil company. This is illegal because there is no relation between Lula and the corruption cases at Petrobras, proven by the Federal Public Ministery. The case should not even have been tried by Moro. Lula was convicted by the content of accusations made by contractors who had been charged or convicted by the Operation Car Wash, when they changed their versions and started to mention the former president's name. This is illegal because the stories from plea deals can only be used as basis for sentences if they are accompanied and validated by other proofs, such as documents. The focal point of the accusations against Lula is that he would have received upgrades in an apartment in Guarujá in exchange for privileging construction companies on contracts with Petrobras. The estate would have been result of embezzled money. This is illegal because there was no indication of how the money would have been embezzled, not even any relationship between Lula and Petrobras in that regard. The defense presented clear documents that show that the rights over the apartment belong to the Brazilian bank Caixa Econômica Federal.